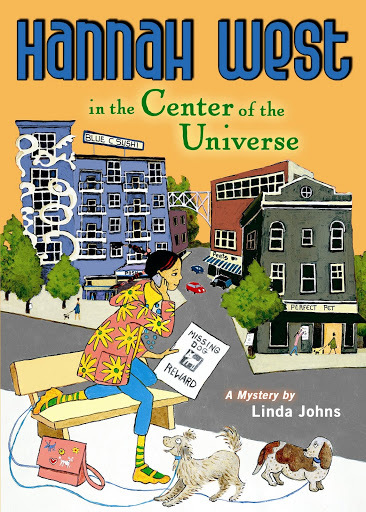 I’m still riding high on this month’s release of the third book in the Hannah West mystery series: Hannah West in the Center of the Universe. It came out in March and it’s been a great month for activities, starting with an event at Kirkland Parkplace Books in honor of Dr. Seuss’s birthday and Read Across America Day. I couldn’t believe my good fortune to be sharing an author table with Kirby Larson , Newbery honor author of Hattie Big Sky; Kevan Atteberry, illustrator extraordinaire, whose most recent book is Lunchbox and the Aliens, Carole Lexa Schaefer , author of nearly 20 picture books, including Down in the Woods at Sleepytime (published in 16 languages!). The next week Nancy Pearl was the keynote speaker at the King County Library System Foundation’s “Literary Lions” event. The authors included in this event were a nice mix of people who write fiction, nonfiction, picture books, and children’s novels.